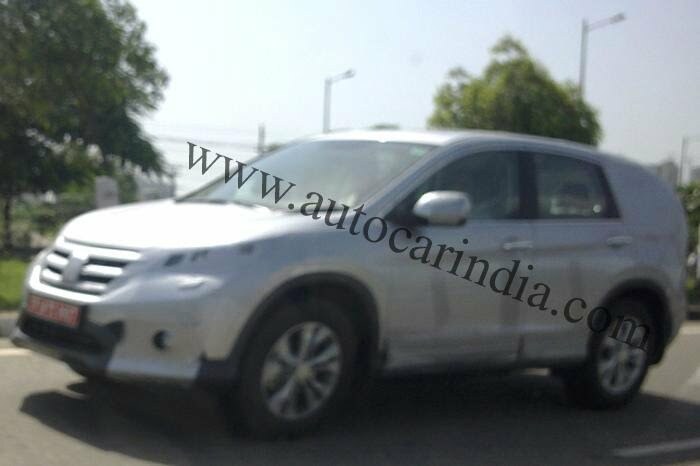 2012 Honda CR-V Spied In India- Launch Soon? Honda is not going to bring the next generation Honda Civic to the Indian market and it is planning to discontinue the Honda Accord as well. The sole reason behind these yet-to-be-taken steps is the absence of a diesel engine and the rapid growth in the small car / hatchback segment. Honda has made it clear that it wants to focus more on the small car segment and put its plan for the luxury sedan market on hold. But we are talking about the Accord and Civic only and not about the next generation CR-V which has been appreciated in major markets and could come to India soon. 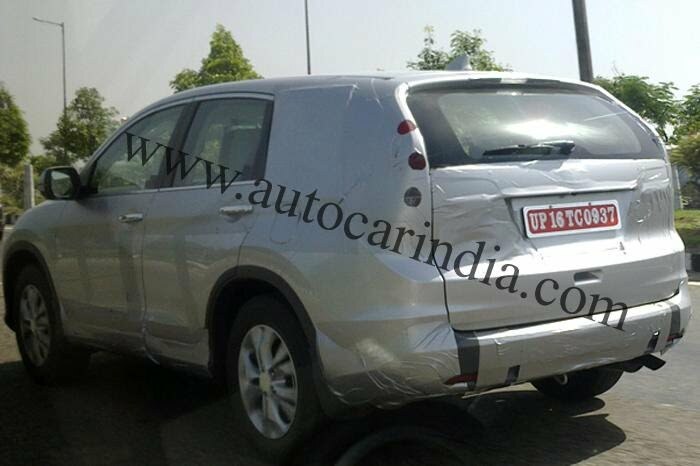 While everybody is unaware about the launch of the 2012 Honda CR-V in India and are building speculations about the official entry, the car was recently spied by AutocarIndia in Noida, New Delhi. The car was first showcased at the Los Angeles Auto Show in June, 2011. Since then the car has gained much attention and a while back it was officially launched in US. Later it was also showcased for the European market and recently the diesel version was also unveiled for the same. Let us talk about the looks of the car now. As we are already familiar with the overall design of the car, it is not wrong to say that the car has evolved to a great extent. The simple and sharp design of the previous model has been overtaken by the bigger and curvy look. The appeal is much more enhanced and it does look very premium. While the front end gets a complete makeover, at the rear Honda has retained the vertical tail light cluster. The car already has plenty of boot space which can be increased to an enormous size by folding the rear seats. Under the hood the car will equip an updated version of the 2.4 litre in-line four cylinder petrol unit which is responsive and refined and puts out 185 BHP of max power and 220 Nm of peak torque. The engine will come mated to a 5 speed automatic gear box. The launch of the petrol model will take place in early 2013, while a diesel version will come soon but not immediately. Pricing would be kept close to Rs.28 lakhs.